JPS plastic rollers weigh less and operate more quietly than common steel rollers. Since they are manufactured with high quality polymer components, they can perform well in wet, dirty and even corrosive environments, which can be detrimental to steel rollers. 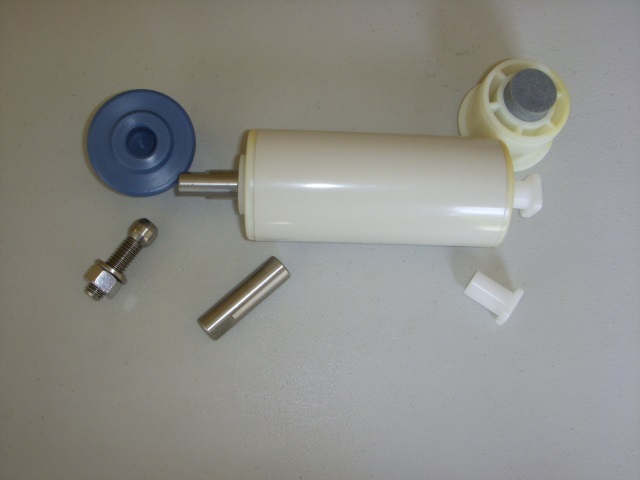 Our PVC roller has a hard surface which reduces the possibility of contaminant adhesion and is much easier to clean should a slight buildup occur. The bulk of our plastic rollers use a plain / journal (sleeve) type bearing as opposed to ball bearings. The bearing is a low friction, wear resistant material that provides a long productive service life. Our bearing design tolerates dirt and moisture, two elements that tend to damage ball bearings. Of course, we can supply our plastic rollers with ball type bearings. 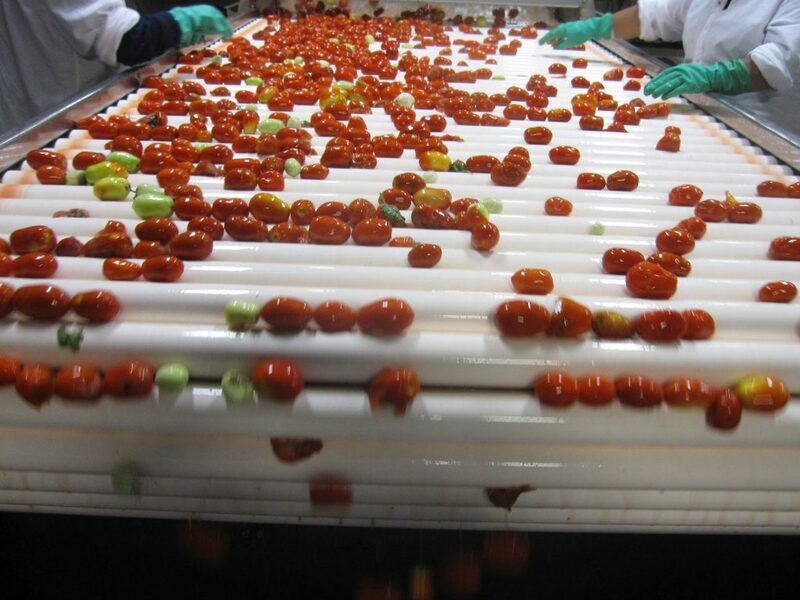 Our plastic rollers can be used on gravity as well as driven conveyors. JPS plastic rollers come in light duty and medium duty designs with many mounting options, the most common being a spring loaded shaft. Our blind bore rollers are ideal for use where equipment wash downs occur and on roller flight conveyors. JPS plastic conveyor rollers are relatively maintenance free! 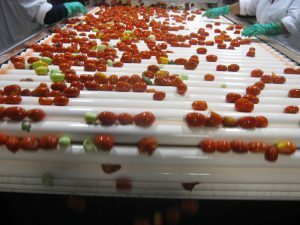 While most of our plastic rollers are used in conveying applications, there are many non-conveying uses for plastic rollers. Feel free to discuss your application with JPS. 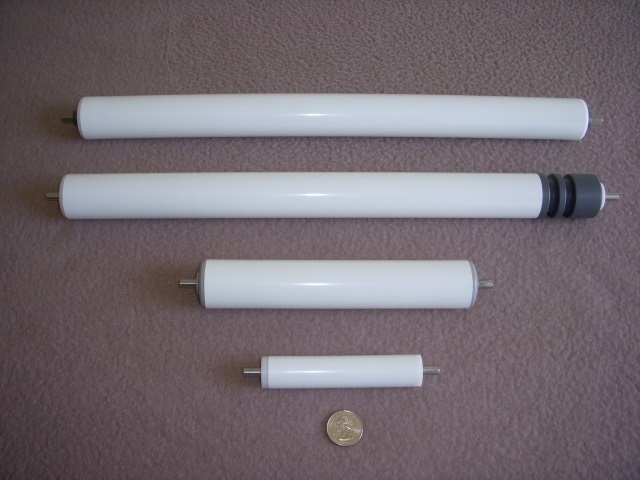 Light duty rollers are manufactured from the same high quality PVC pipe, but in the smaller diameters. 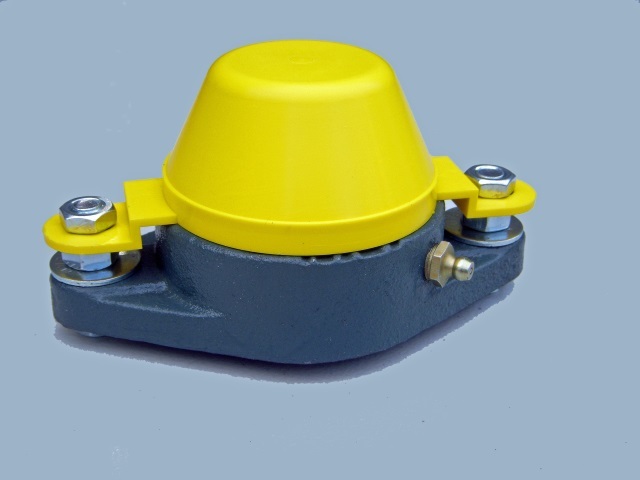 They are ideal for driven applications where the loads vary from ounces to pounds. They can be applied in both carry and return applications. 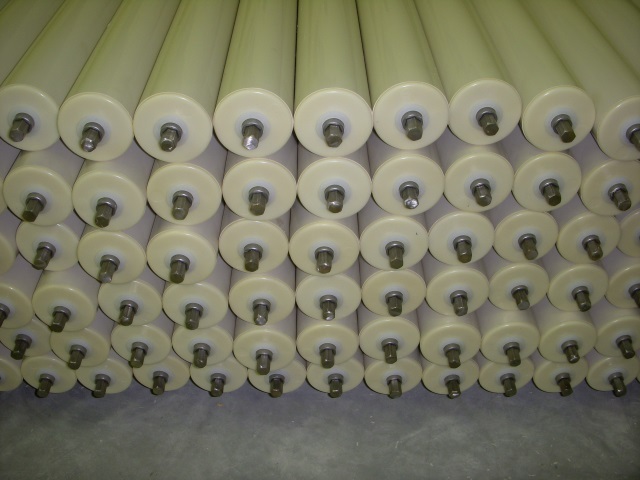 Medium duty rollers are manufactured from high quality PVC pipe that is extruded to precise tolerances on the wall thickness which, when combined with added impact modifiers, gives our rollers greater strength. They can be applied in both carry and return applications. Most JPS plastic rollers fall into our light and medium duty product lines however many rollers require a unique modification to accomplish a desired function. 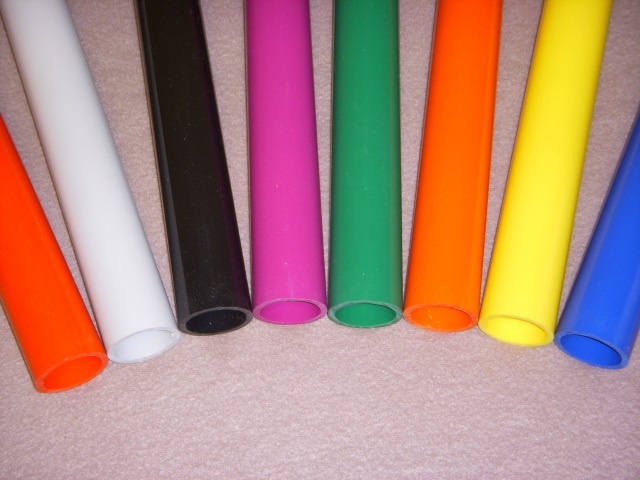 We would be interested in discussing your “custom plastic roller” application whether it is for a single roller or hundreds. Are designed for roller flight conveyors or applications that may require added cleanliness. 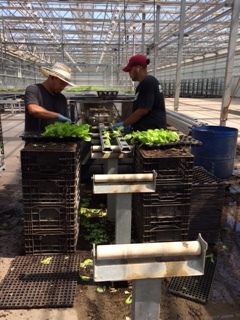 The rollers are mounted using chain pin attachments or into the conveyor frame using stub shafts. Their diameters span both the light and medium duty series. 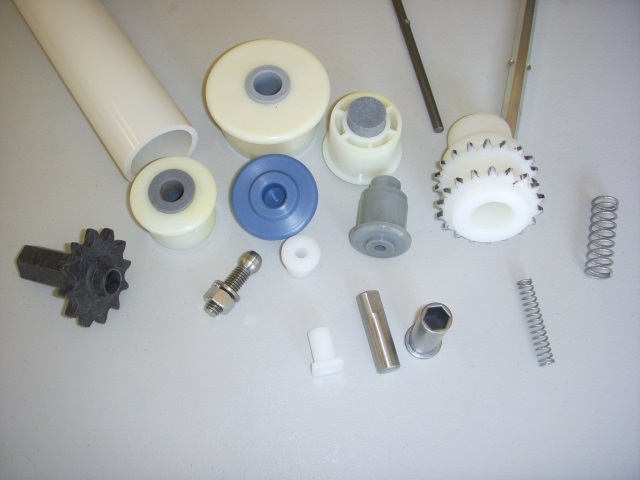 JPS Company makes available many components for roller assembly.